A life-long resident of Bergen County (Garfield & Saddle Brook), Anthony Bevilacqua has been working as a professional musician for the past 18 years in various facets of the industry. Primarily a violinist, Anthony also plays viola, bassoon, contrabassoon, clarinet, bass clarinet, and piano. 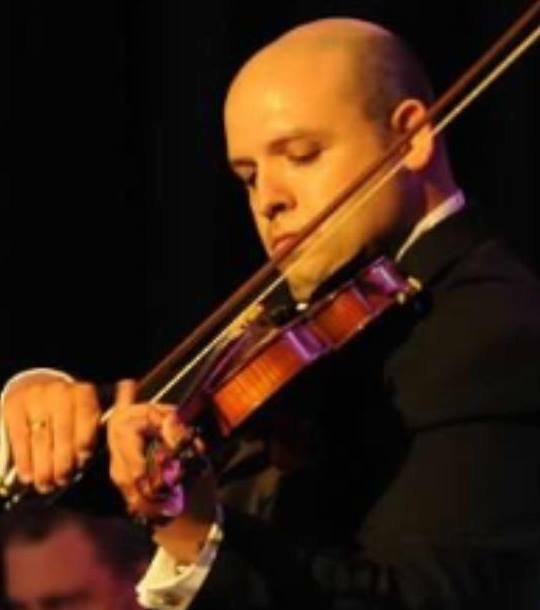 He has served as concertmaster for the Baroque Orchestra of NJ, and section violinist for the Ridgewood Symphony, the Livingston Symphony, the Central Jersey Symphony, and the Encore Orchestra. 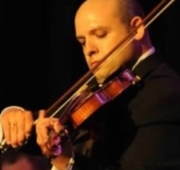 He has also served as concertmaster and section violinist for the Eastern Opera Company, the NJ Concert Opera, the Metro Lyric Opera, and the Garden State Opera. Anthony is also an orchestrator/arranger who has worked for performers including Tony winner Willy Falk (Miss Saigon), and for organizations such as the Showtime Network. In recent years, Anthony has enjoyed work as a freelance musician performing in the NY metro area on and off Broadway, and with bands at various venues such as Terminal 5, Hammerstein Ballroom, Irving Plaza, Randall’s Island, and Westbury Music Fair. He is also a regular soundstage orchestra musician recording scores for TV and Film for companies such as Showtime, Lions Gate Films, Ghost House, and Tristar Pictures. Anthony’s soundtrack credits include the scores to TV’s Party of Five, Just Shoot Me, Weeds, Reba, Hell on Wheels and Westworld. His film soundtrack Credits include Mulholland Drive, The Wicker Man, The Beach, The Unsaid, Stalingrad, The Walk, Cabin Fever, Freddy vs. Jason, Storm of the Century, and 1922. His Broadway sub credits include Newsies, South Pacific, Chicago, Light in the Piazza, and The Lion King, as well as the 2008 Spring Awakening national tour. Anthony has also performed live with artists including Beirut, Candlebox, Sixpence None the Richer, Better than Ezra, Fiona Apple, Coheed and Cambria, and The Three Irish Tenors. He has also performed at the 2005 Lollapalooza music festival with the band Arcade Fire. Anthony teaches violin privately and coaches chamber ensembles. He also enjoys music directing shows for local theater companies such as Old Library Theater of Fair Lawn, and Rhino Theater of Pompton Lakes. Anthony is a graduate of William Paterson University where he majored in violin performance and also studied bassoon and conducting. He is a member of the American Federation of Musicians union Local 802, and an alumni brother in the Phi Mu Alpha Sinfonia fraternity. Anthony is an avid dog enthusiast and in his free time, he enjoys camping, cooking, gardening, and long walks in the park with his new black lab puppy, Jackie.